JDS Industries was established in 1997 and for the past 18 years and manufactures the KAROCK range of Rock Breakers, Scalers, stationary and mobile as well as Utility Vehicles. The KAROCK range of mining equipment was designed and manufactured by Stein Muller until their closure in 1997. JDS Industries are currently manufacturing stationary rock breakers from 1 – 50 ton, designed to suit our customers’ needs. All basic designs are detailed on our “KAROCK RANGE” pages. 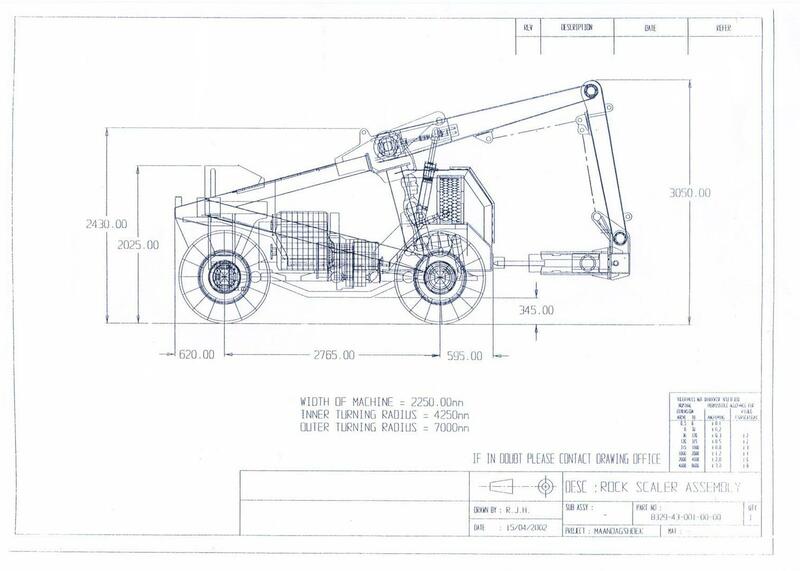 The Drawing and Design Department uses the latest computer aided design programs. How many tons, on grizzley or bin, need to be tipped per shift/day? Percentage you want to break of the above tonnage? If you have any additional information not requested above, please provide details in the space below. We at JDS Industries strive to keep abreast of growing technologies and client needs, but still keeping within our core proven designs. Our designs are mainly focused on easy maintenance as well as simple hydraulic operations for maximum production results. At JDS Industries we strive to meet our customers’ needs, no matter how big or small they are. We have, over the years, built a good relationship with our clients to identify and service their needs. We at JDS Industries have a very professional and motivated team of personnel. Our experience in hydraulic and mining equipment manufacturing, supplies and repairs started in the early 1980’s and is still ongoing with added advanced technologies. Complete our Inquiry form to determine the correct machine to meet your requirements.